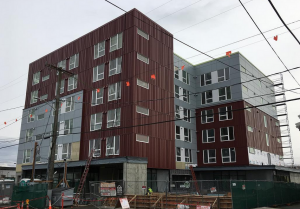 Interbay Place provides 97 units of affordable housing with supportive services for homeless adults who are living with mental illness, substance-use disorders, and other disabling conditions. Construction began in September 2014 and was completed in late November 2015. It officially opened in December 2015.